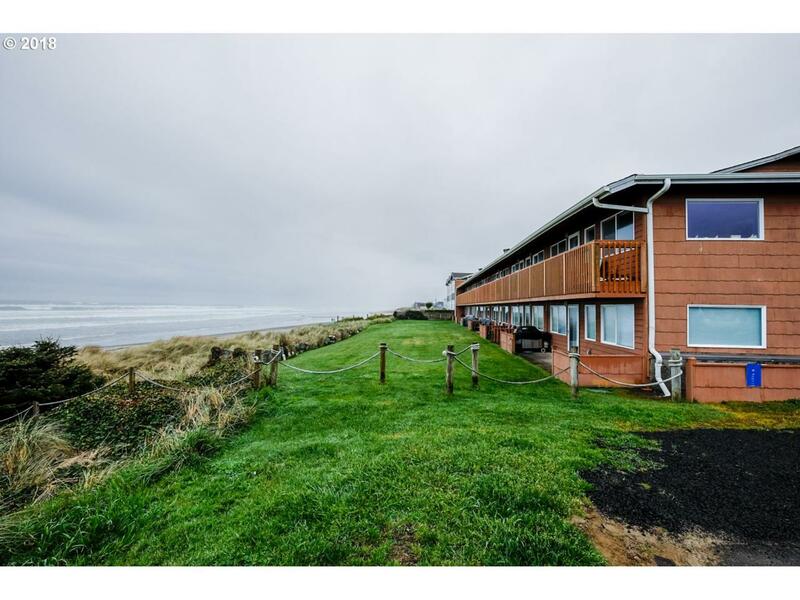 Turn-key OCEANFRONT condo conveniently located within walking distance to restaurants & shops in downtown Rockaway Beach. Expansive Deck to enjoy the 4th of July fireworks, ocean views and stunning sunsets. This end unit boasts an open floor plan, vaulted ceilings, laundry in condo, dishwasher, & furnishings included! Enjoy all the coast has to offer just steps from the sand.